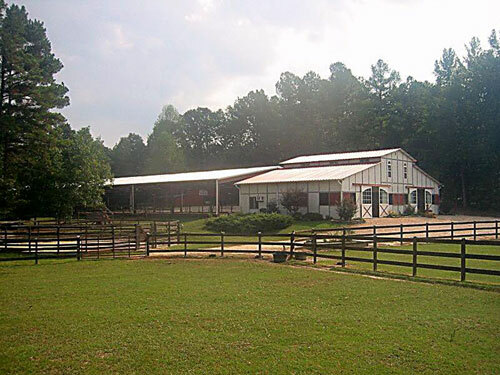 Beautifully situated on a very quiet and private 20 acres of land, Equis Run Farm offers a tranquil, serene, and nurturing environment for both horse and rider. By limiting the number of patrons, we are able to provide a very quiet and nurturing setting. In addition to its own acreage, Equis Run Farm has access to some very peaceful trails throughout the 50 plus acres of woodlands that surround it. 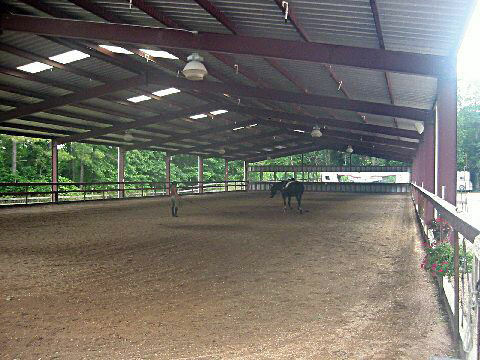 Facilities at Equis Run Farm include a full size covered dressage arena with excellent footing, lights, mirrors, sprinkler system, and even music! The arena was built to USDF standards and is maintained exceptionally well to ensure the least possible concussion to our horses. 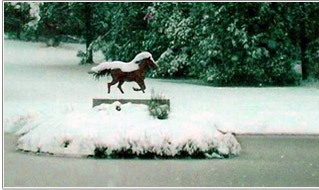 In addition, there is an outside jump field and round pen for training. All pastures are fenced and are designed for individual turnout. The pastures have frost free faucets and mineral blocks and are floodlit for evening inspections. To maintain our beautiful pastures, we have them seeded and fertilized two times per year. Our large stalls total 8 and are equipped with rubber mat flooring, lots of shavings, automatic waterers, and an overhead fly system. 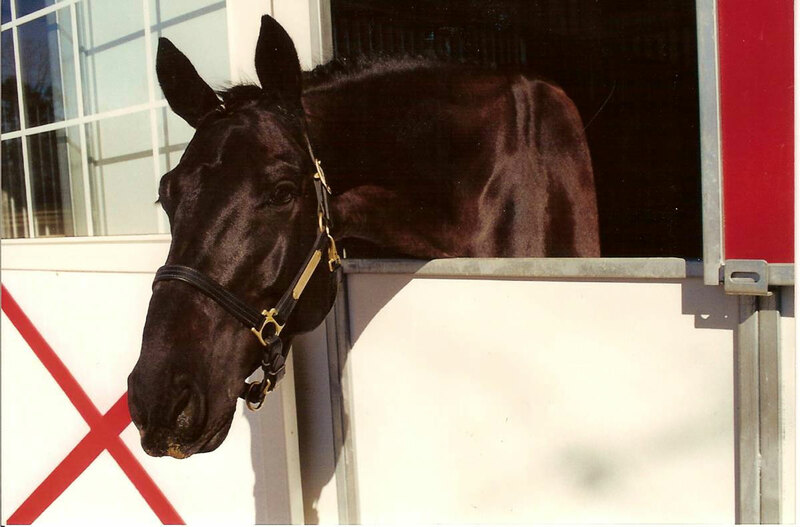 They are light and airey and have individual windows that the horses absolutely love! Fans are provided in the summertime for all stalls. Dimensions for our generously sized stalls include the following: 4 stalls that are 12 x 12, 2 lower barn stalls that are 14 x14 (Amy keeps her horse and another horse there) and 2 stalls that are 16 x 12. 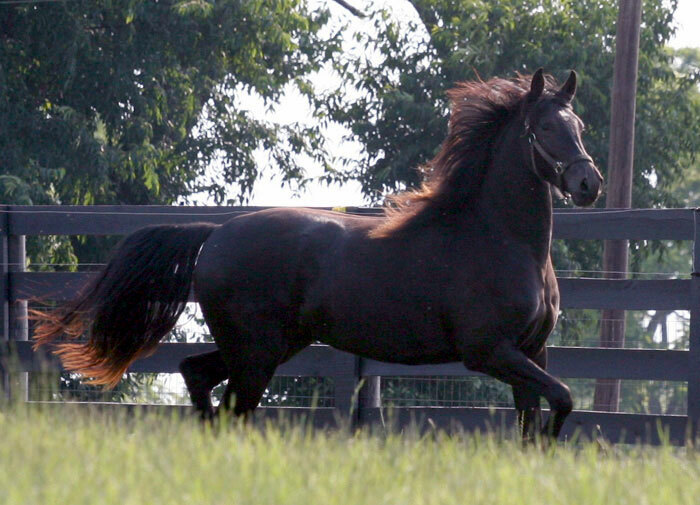 Providing exceptional care is paramount at Equis Run Farm. 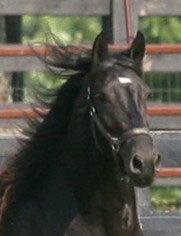 The horses are provided with only the highest quality hay and feed several times per day. Based on the time of year, this varies from 3 to 5 times daily. Amy is happy to provide full details as desired. The wash stall is equipped with hot and cold water, rubber mat flooring, and a fan for quick drying. The barn is built like a show barn but is quiet and very personal. In the winter, you may use the heat lamp to help you get ready and warm! The tack room has air conditioning, a washer and dryer, and all boarders are given their own individual space for storing their personal supplies. We take a lot of pride in providing a clean barn, and ensure the stalls are cleaned at least two times per day. 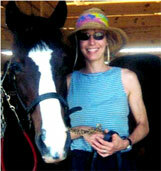 The heart of Equis Run Farm stems from our love of horses. We are here to provide the very best care and training possible, and by keeping high standards for ourselves and our facilities we believe it shows.